Blistering boil times come standard on the industry-leading Flash. 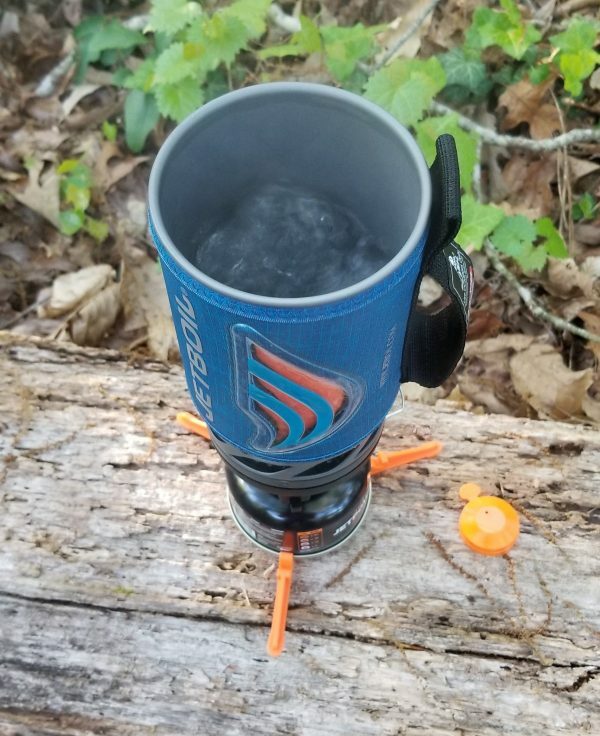 By modeling the combustion and selecting materials to optimize efficiency, they were able to create the fastest Jetboil ever—cutting a full minute off their best boil time. 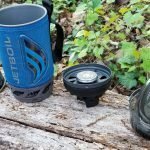 The Jetboil Flash System is designed for a quick meal or hot drink. 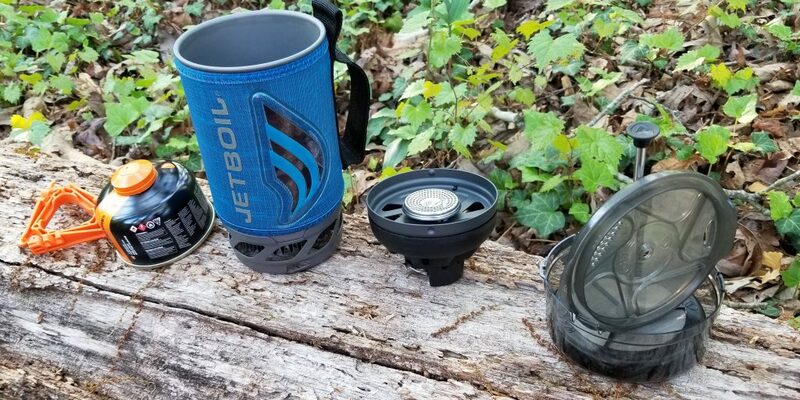 The design is best used while backpacking, whether a simple day hike or a long backcountry camping trip. This cooking system is explicitly engineered to heat quickly. 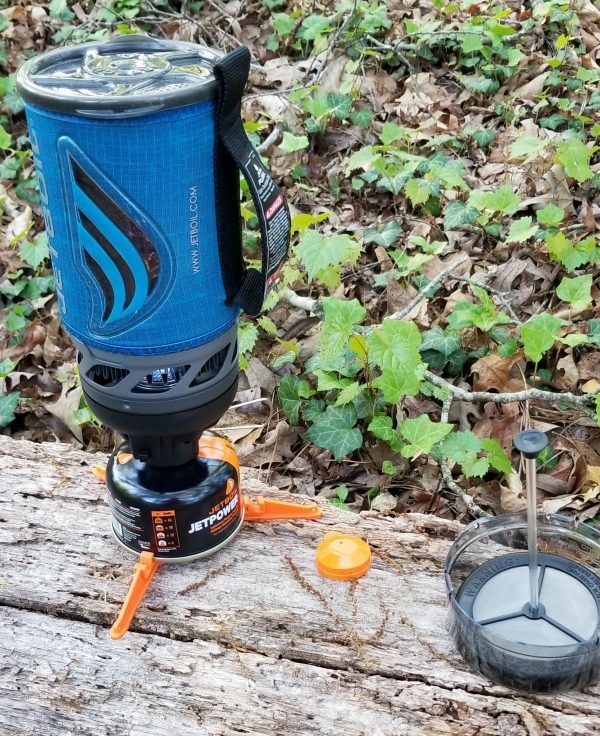 The Flash stands out against its competitors on its design and ability to boil water incredibly fast. The features that drew me to this cookstove were the packability, quick cooking time, and the simplicity of the system. The system allows for the extra attachments which include the coffee press, cooking pot, and frying pan. 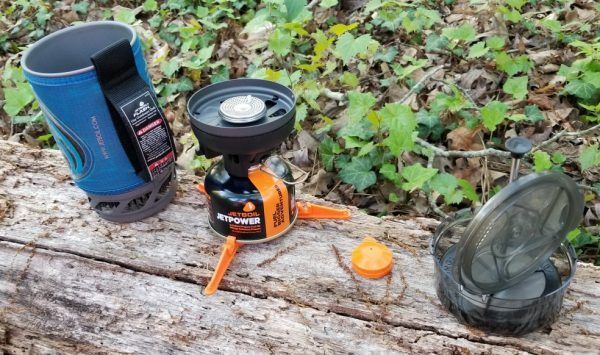 These add-ons make the cookstove more versatile, especially for a solo camper or hunter. I made a quick video using the Jetboil Flash for the first time. After putting the system together and adding water, it took just 2 minutes to boil. The color changing on the side is a really nice touch to know when the water is getting close to boiling. I turned the burner off detached it from the cup, added my coffee grounds, let it sit for about 2 minutes, attached the plunger and french press system, poured and enjoyed! Editor’s Note: This is a long video by YouTube standards, but it shows a great amount of detail. Feel free skip to the parts that interest you the most. As a Valentine’s Day date, I planned out a hike with my wife and told her there was something at the end of the trail for her. We made it to the viewpoint, and I took out the JetBoil Flash system. Within minutes, we had delicious hot coffee. It was great to boil the water so quickly in the cold temps with the need to get warm on a frigid February day. We were both really impressed with it being just my second time making coffee with the system. 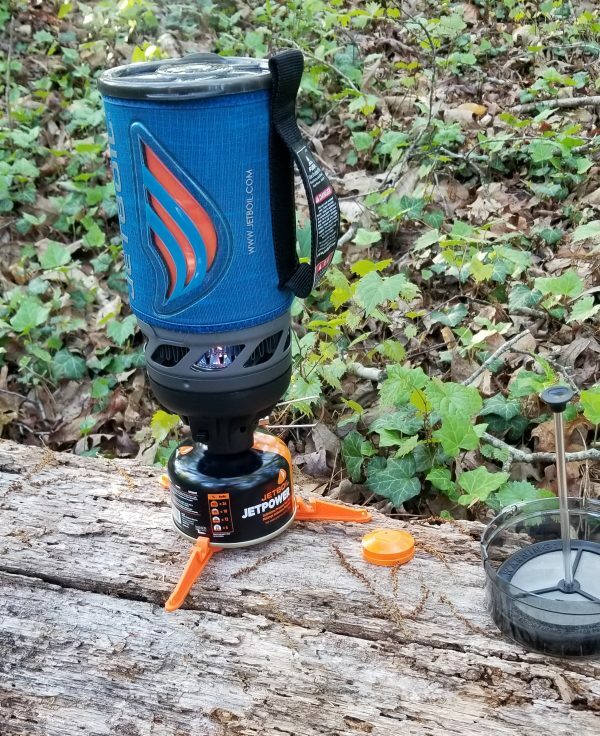 I am always using public land for my outdoor activities, so it’s essential that I don’t have to make a big fire or bring a large camp stove or grill on my trips. 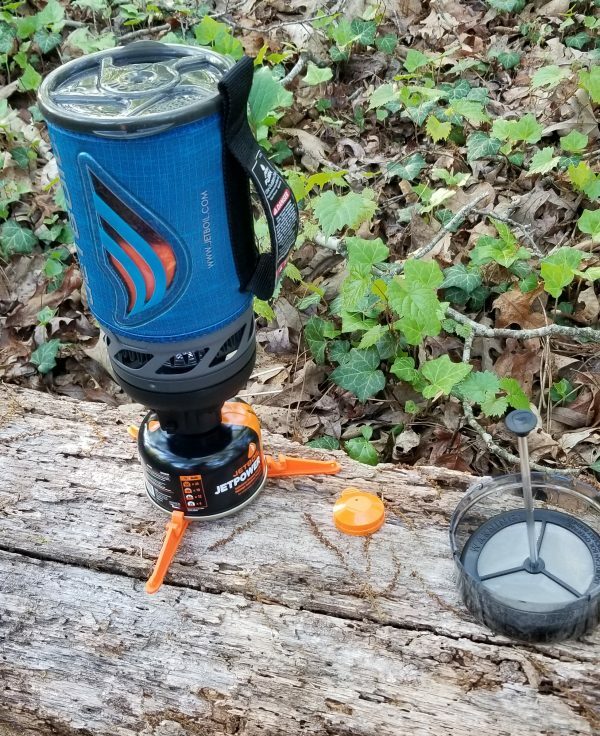 The Flash will definitely be with me on my outdoor trips. 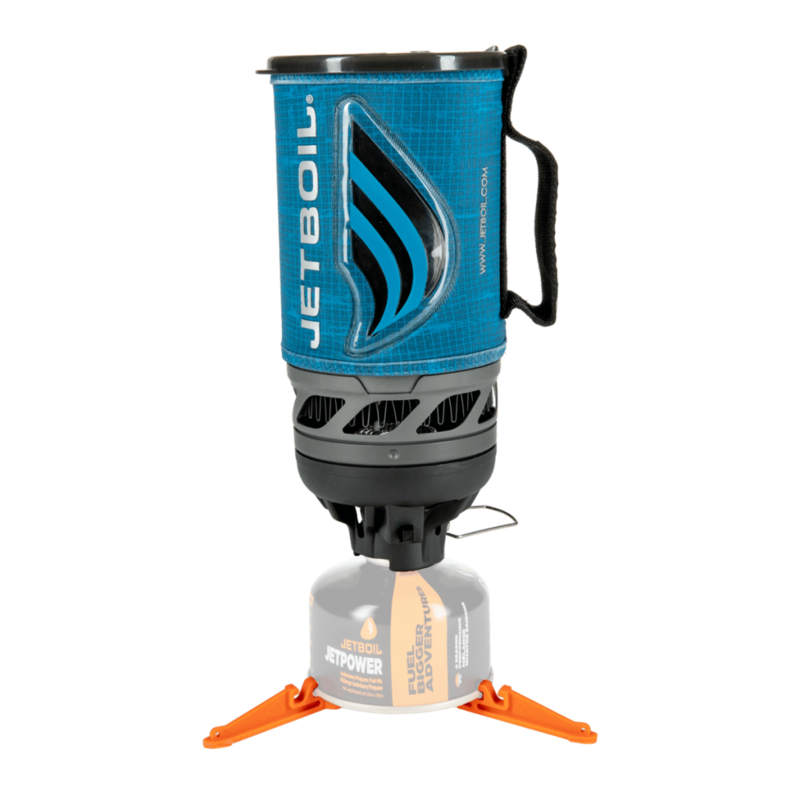 The Jetboil Flash Cooking System is for anyone into hunting, fishing, camping, or even people who just enjoy having a quick cook system while traveling. Ready to buy? Pricing on Amazon is usually close to retail. Moosejaw usually has excellent coupon codes. 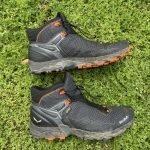 BlackOvis carries a wide range of accessories with free shipping and offers email discount codes. Thanks to Dan for writing this unpaid gear review. 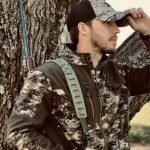 Hunting Gear Deals is funded by affiliate commissions. We may receive a small commission when you buy from our partners using the links provided. There is no additional cost to you. Thanks for supporting us by using our links when making your purchases. 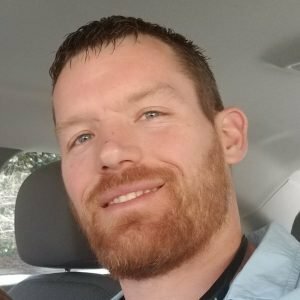 Dan Patton is a Michigan native, growing up in a small town, He was constantly outdoors: hunting, fishing, camping and exploring his family property. 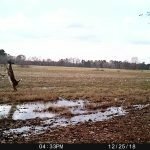 He now lives in northwest Georgia and has converted to 100% public land activities with no family close by. He has found an even deeper love for adventures all over. 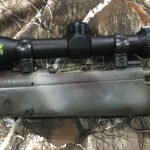 Are you interested in getting free hunting gear in exchange for a detailed and honest review? Apply for our Review Corps here!